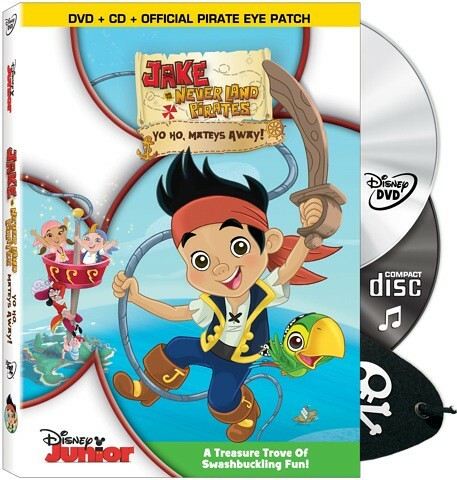 TV Geek Army and Walt Disney Studios Home Entertainment have teamed up to give one lucky reader the opportunity to win a Jake and the Neverland Pirates: Yo Ho, Mateys Away! DVD. 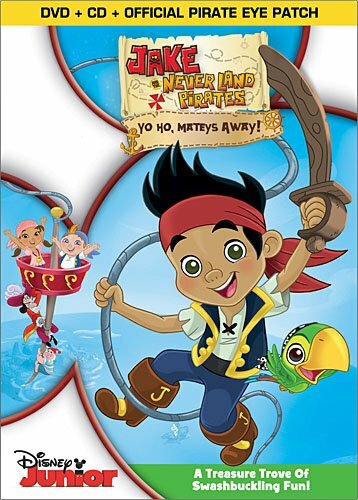 Jake and the Neverland Pirates is an animated children's series that airs during the Disney Junior block on the Disney Channel. Each episode presents two 11-minute stories and a live-action peformance by the Never Land Pirate Band. The stories are frequently similar, usually having to do with Jake (Colin Ford) and his pals, Izzy (Madison Pettis), Cubby (Jonathan Morgan Heit), and their parrot Skully (Davis Arquette), having to retrieve something Captain Hook (Corey Burton) took from them. Other familiar faces from Peter Pan joining Hook are his first mate Mr. Smee (Jeff Bennett) and his nemesis Tick-Tock the Crocodile (Dee Bradley Baker). This 2-disc combo package contains a DVD with seven episodes and bonus material, a CD with seven songs, and an official piarte eye patch. The contest is open only to residents of the Continental U.S. and Canada. There are two ways to enter the contest. For your first entry, leave a comment below. For a second entry, "like" us on our Facebook page and leave a comment under the Jake and the Pirates contest post. I would love to win this for my nephew. They would love it. I hope I win this for my 6 year old brother who loves cartoon movies. He always laughs and its so cute! My kids love Jake and the Never Land Pirates. They love playing pirate with Jake and his crew and dancing along to Skully and Bones' pirate ditties at the end of each episode!